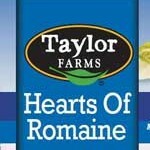 Taylor Farms is an American based manufacturer and delivers of fresh produce to the foodservice industry. The products of Taylor Farms are salads, cut fruits and vegetables. The company was founded by Bruce Taylor in the year 1995 and has its headquarters located in Salinas, California, United States. Taylor Farms operates as a subsidiary of Taylor Fresh Foods and is the world largest producer of fresh cut vegetables and fruits. The customers of the company are largest supermarkets chains, and other food service restaurants in the United States of America. The Taylor Farms aims at becoming Americas favorite salad maker. There are currently 1 consumer reviews about Taylor Farms available. Share your review. You use a trucking company with a really bad safety score. The company is Karr transportation. Please take a note that you are about to post a public review about Taylor Farms corporate office on CorporateOffice.com. This review will be public, so please do not post any of your personal information on this website. If you would like to contact the corporate offices of Taylor Farms, please use their contact information such as their phone number, website, and address listed above to contact them. However, sometimes staff from Taylor Farms headquarters do read the reviews on this website.